SUFFRAGAN BISHOP WILLARD F. NIXON was born to Viola Nixon on April 27, 1955 in the Parish of West Feliciana. He was predestined by God to be a Prophet to the world! In 1980, he married Shirley M. Bell and unto this union they were blessed with six anointed children. Sadly in 1985, a set of twins (Ronald and Donald) went on to be with the Lord. Bishop Nixon is also the proud grandfather of seven (7) wonderful grandchildren. Willard F. Nixon, a graduate from Saint Francisville High School in 1973, went on to attended Southern University and A&M College majoring in Electrical Engineering. Later, he studied Digital and Computer Electronics at Baton Rouge Vocational Technical College. He also completed a correspondence course in Computer Repair with ICA Learning Systems. Willard F. Nixon is presently employed at Georgia Pacific Corporation in Port Hudson, LA, where he currently has forty (40) years of service. He is also a member of Local 1334 United Papers Makers Union of which he has been a member for forty (40) years. Additionally, he co-owns with Pastor Lula M. London the New Jerusalem Estates Subdivision located in Saint Francisville, LA. In 1980 Willard F. Nixon was baptized in Jesus Name and filled with the Holy Ghost at The First Pentecostal Church of Jackson, LA. God immediately began to deal with him through dreams, visions, words of wisdom, words of knowledge, discernment of spirits, words of prophesy, casting out devils, healings, and the working of miracles. While at First Pentecostal Church of Jackson, he became the first deacon. He served faithfully under Apostle Emmitt Hardy, Jr., for approximately five years. In 1985, he elevated to Pastor W. F. Nixon and became the Founder and Overseer of Jesus Name Apostolic Holiness Church, Inc. Through his ministry, many Pastors and Evangelists have been licensed and anointed to established other churches and ministries. He has been pastoring The Way of Holiness In Jesus Name Church of Jackson, LA for over thirty (30) years. During the three decades, he has established The Miracle Temple of Baton Rouge at 3345 Plank Rd. Baton Rouge, LA. 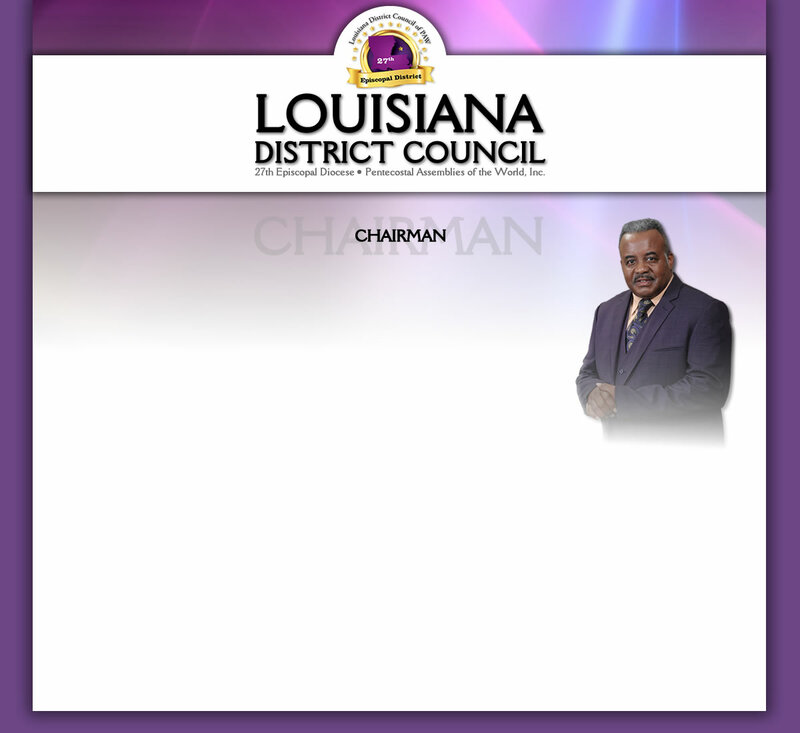 In 2016, Pastor W. F. Nixon was elevated to Regional Bishop of the Louisiana District Council (LDC) under the leadership of Diocesan Bishop James E. Daniel. Currently, Regional Bishop Nixon and The Way of Holiness Church Ministries are in preparation to begin building a new place of worship on nine acres of land purchased in the Baton Rouge, LA area.